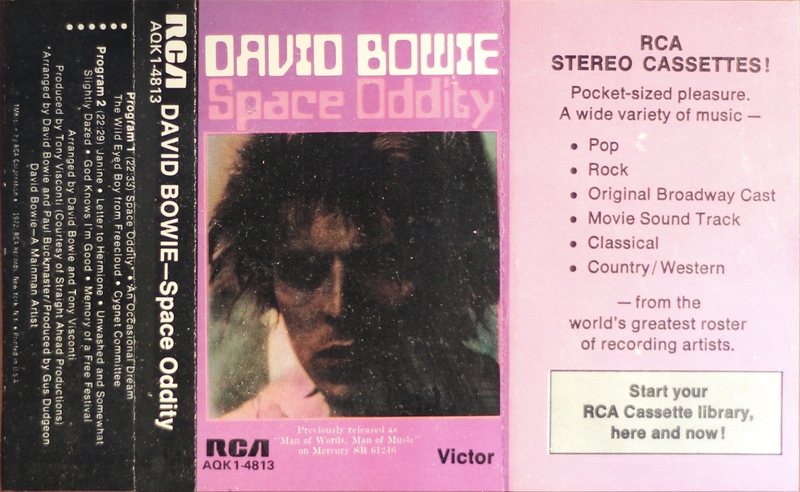 Space Oddity: USA; RCA; PK 2101; 1972. 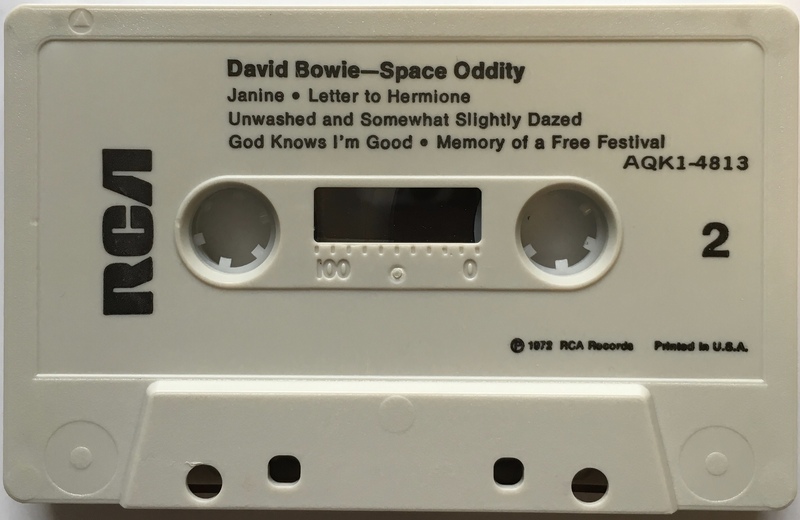 White paper labels on grey shell, solid red RCA logo. 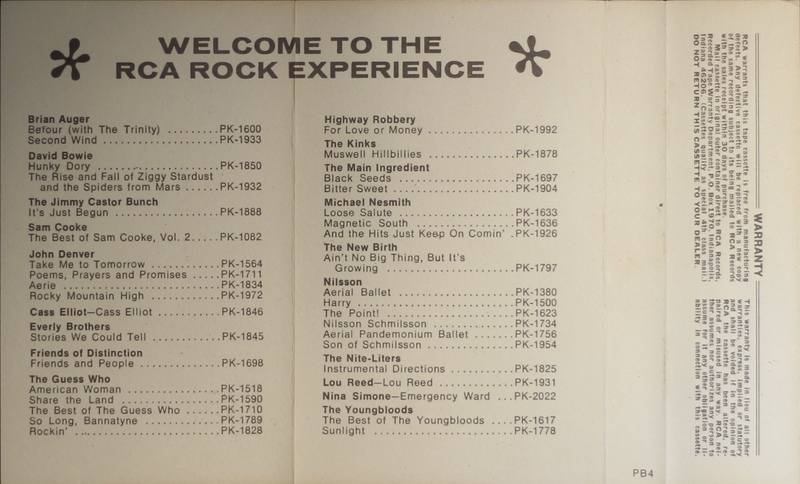 Side two shows record plant stamp at bottom left and shell variants exist. 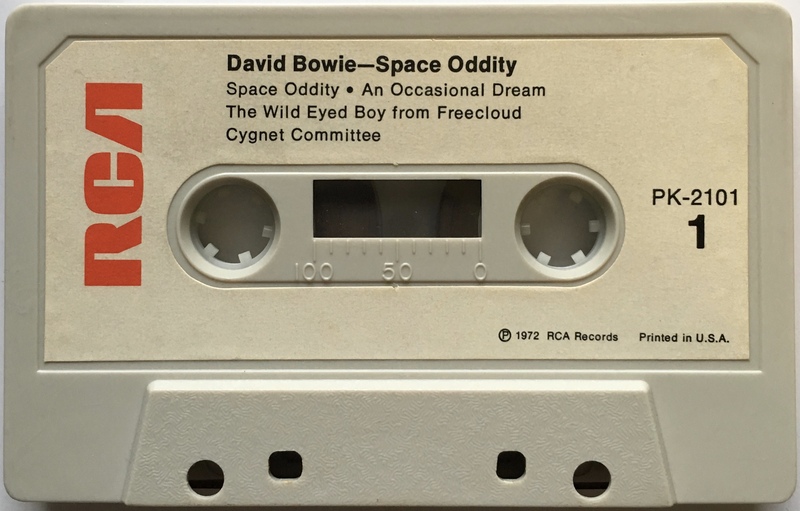 Side 1: Space Oddity; An Occasional Dream; The Wild Eyed Boy From Freecloud; Cygnet Committee. 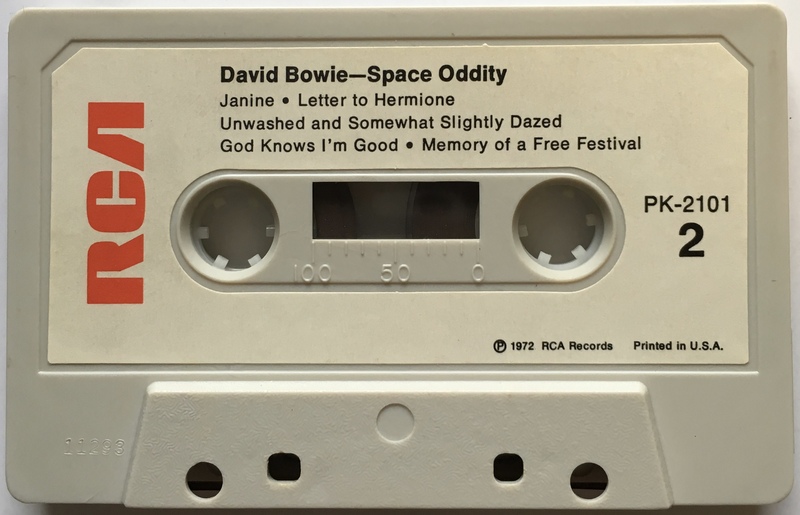 Side 2: Janine; Letter To Hermione; Unwashed And Somewhat Slightly Dazed; God Knows I’m Good; Memory Of A Free Festival. 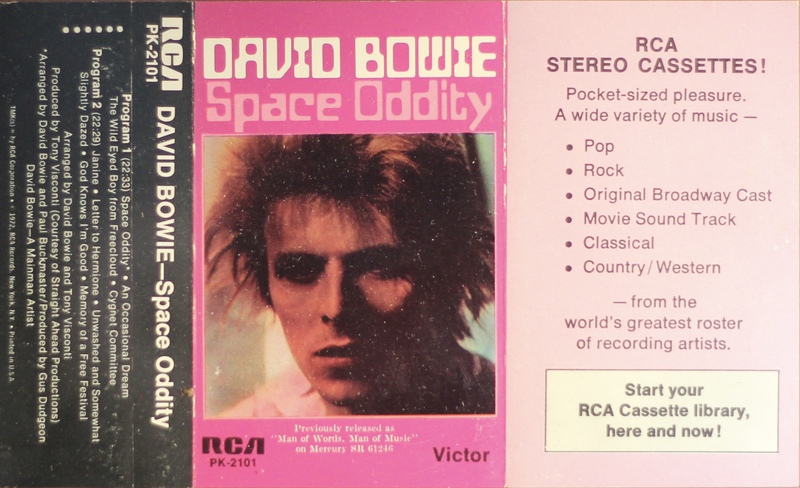 Space Oddity: USA; RCA; AQK1-4813. 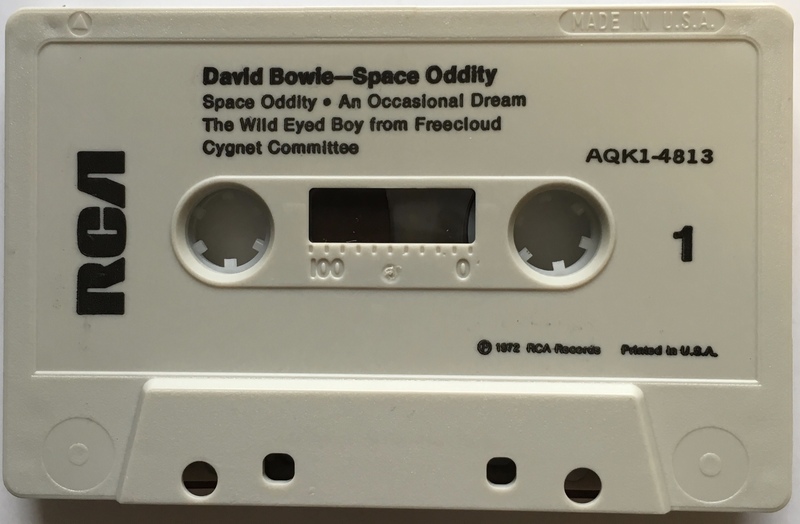 Reissue from 1980. Direct printing of black ink on grey shell with solid black RCA logo.